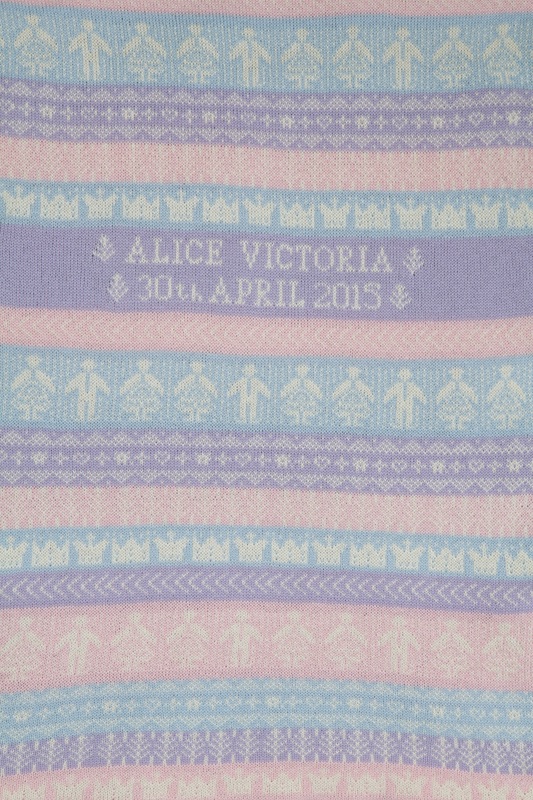 This personalised cashmere baby blanket was designed by Charlotte to commemorate the birth of the new royal baby, Princess Charlotte. 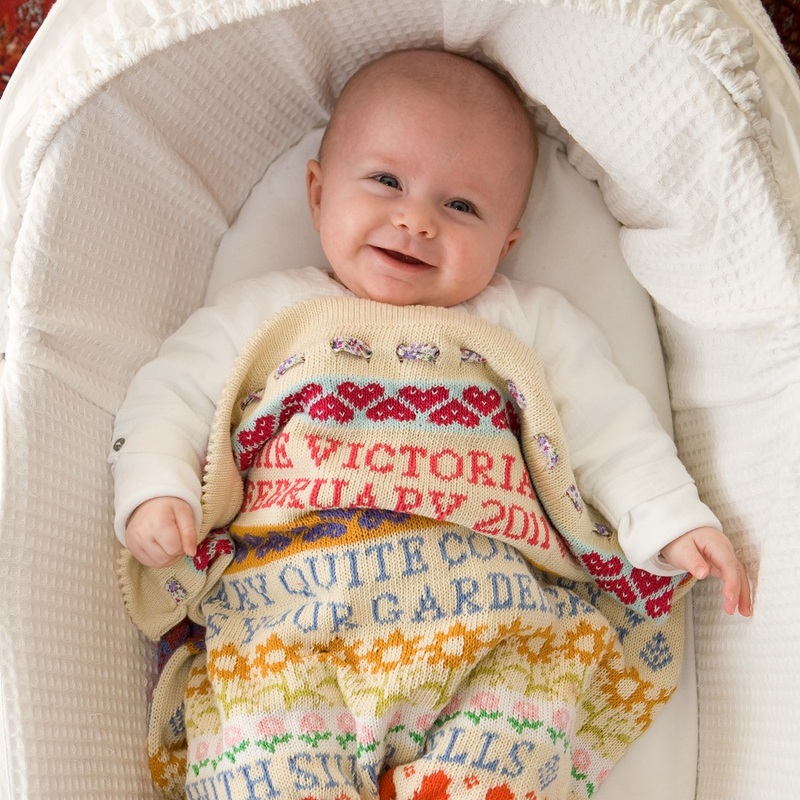 Knitted in luxurious cashmere, it is a truly special blanket – soft, light and warm – and would make a unique gift to celebrate the arrival of a new baby. 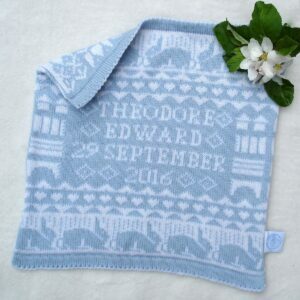 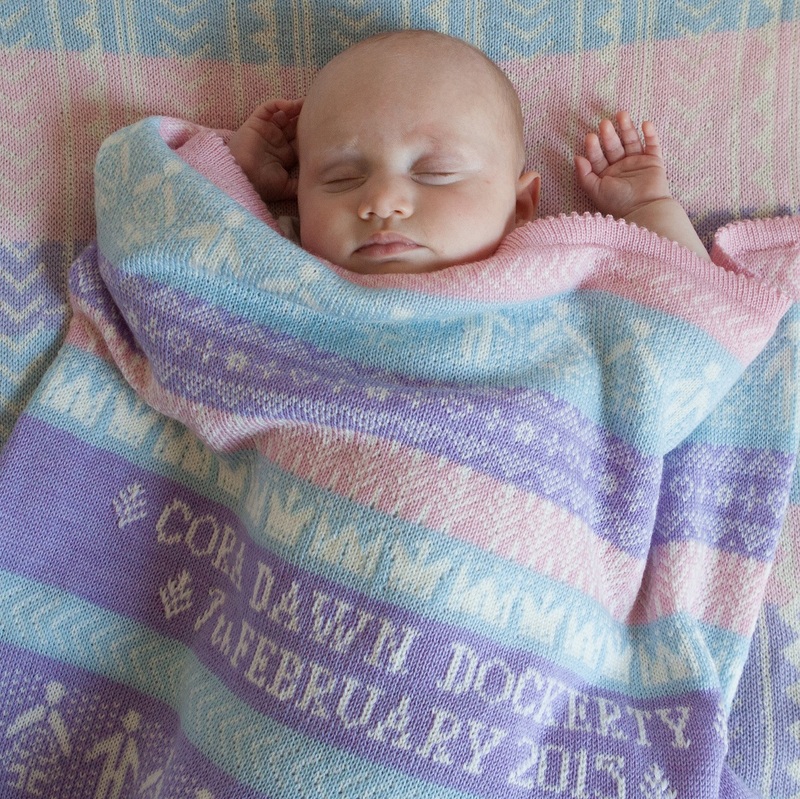 Each blanket is individually made and personalised with baby’s name and date of birth, here in my Norfolk studio. 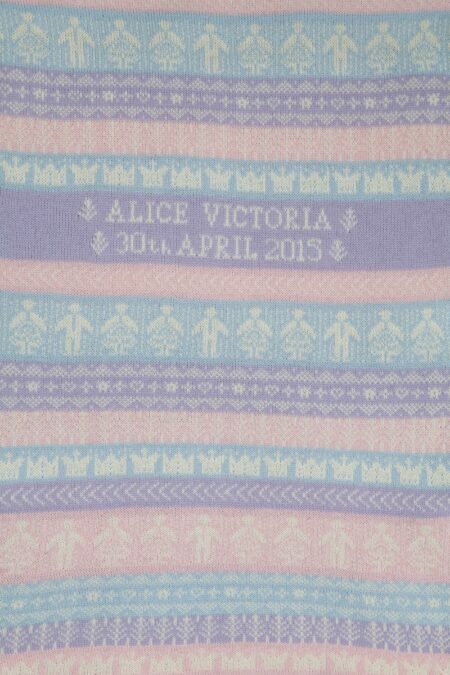 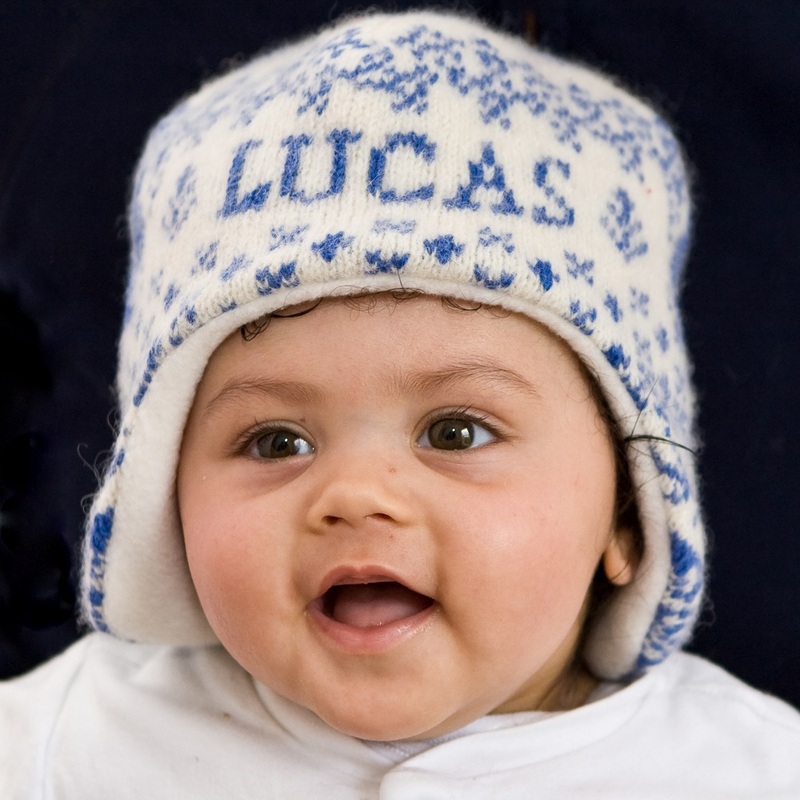 It is knitted in pastel shades of pink, lilac, and blue, in a fair isle style featuring people, crowns and geometric motifs. 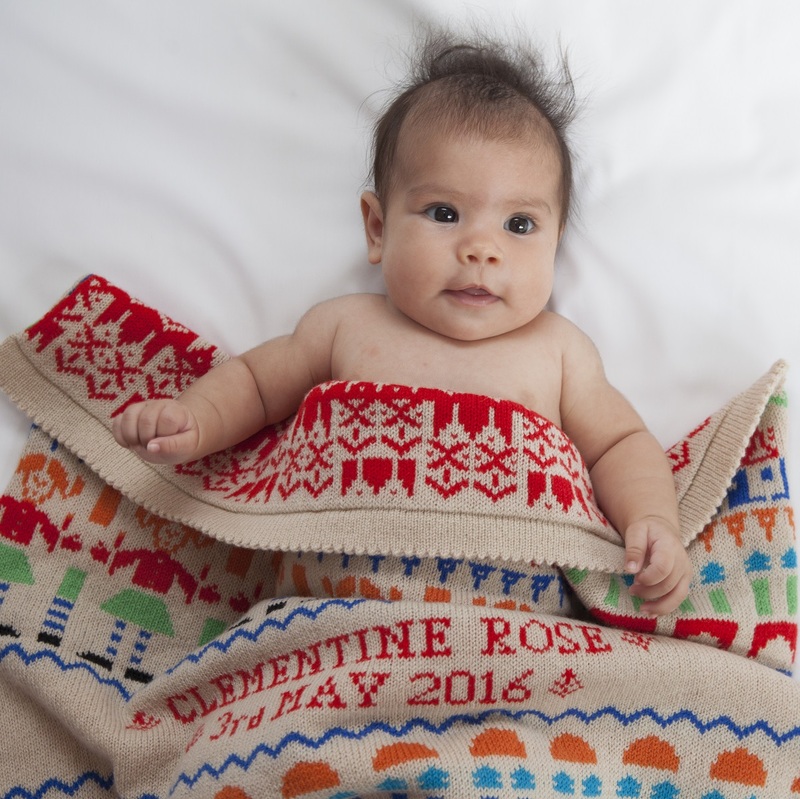 This exquisite blanket is made from two layers of knitted cashmere and has a complimentary geometric design on the reverse. 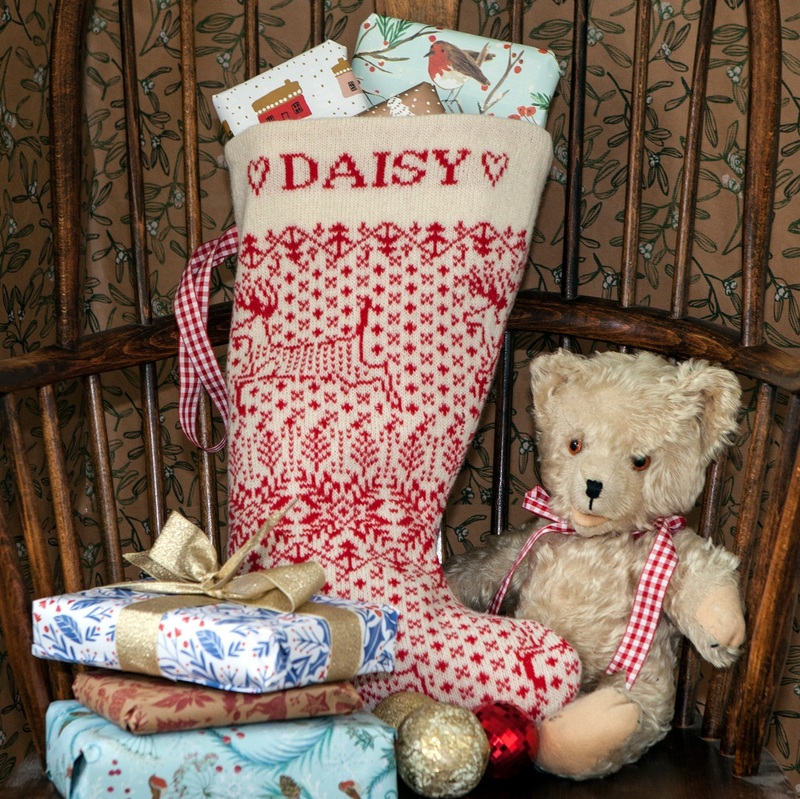 It measures approximately 74cm x 56cm. 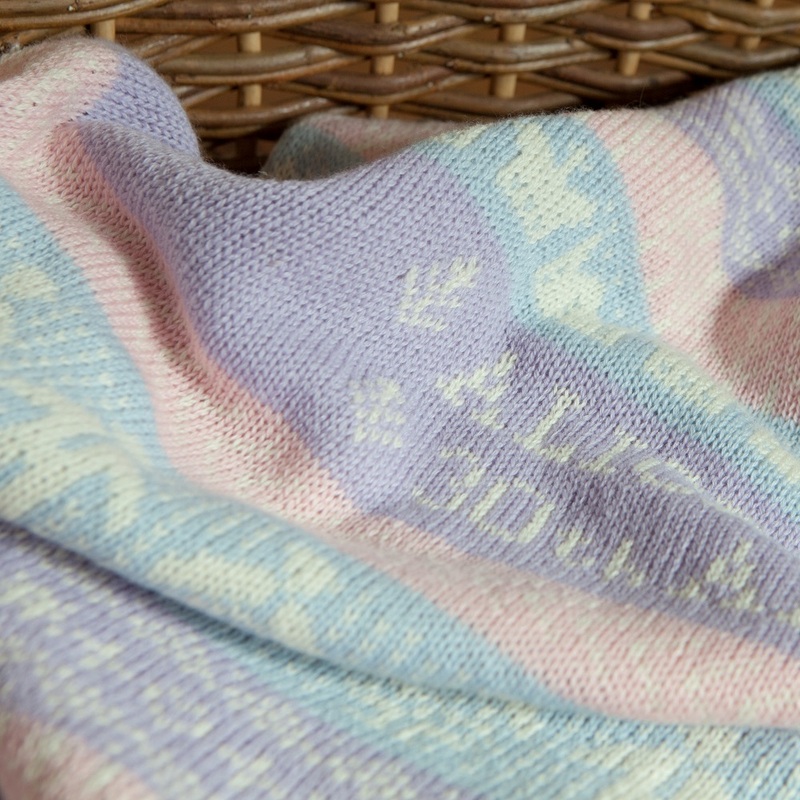 The cashmere is of exceptional quality, expertly spun in Yorkshire – this really is a sumptuous blanket. 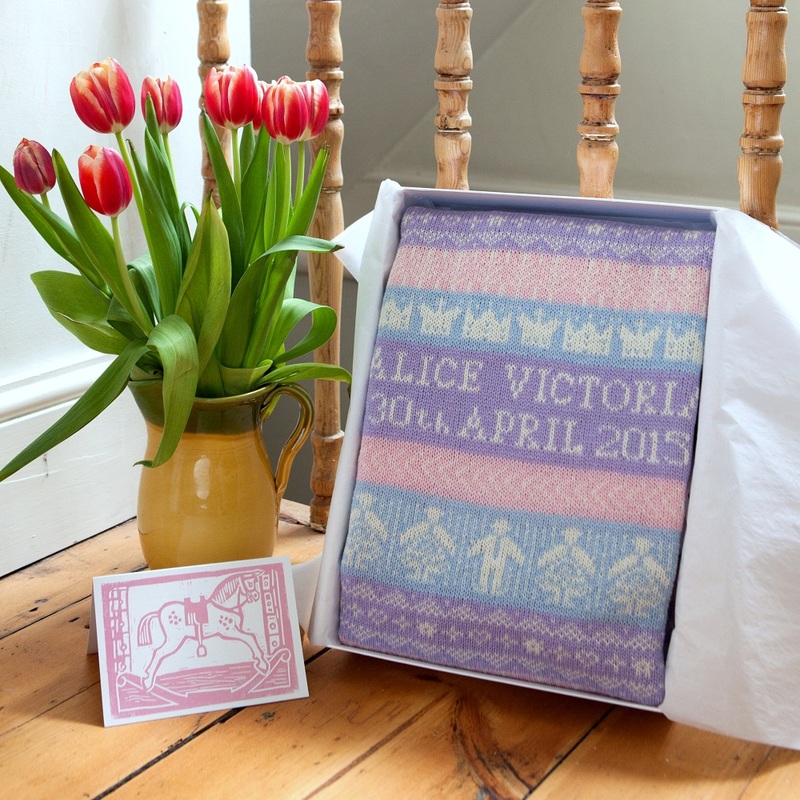 Your blanket will arrive beautifully wrapped in tissue paper in a solid white presentation box, ready to give, and is sure to be treasured forever.